AADHAR village program involves the identification of communities long ignored by authorities and society at large, example slums and shanties, and providing the residents there with healthcare, education and improving their living conditions by involving the residents as well as bringing in volunteers. These areas have long been associated with sub-standard living conditions and negligence to basic sanitation and health needs. 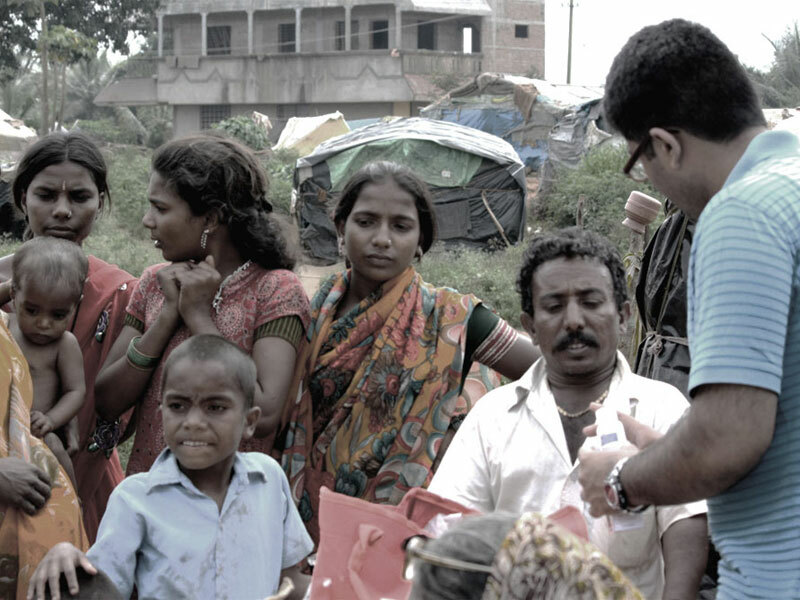 This program revolves around social uplifting and bringing Primary Healthcare to slum dwellers and the children there. 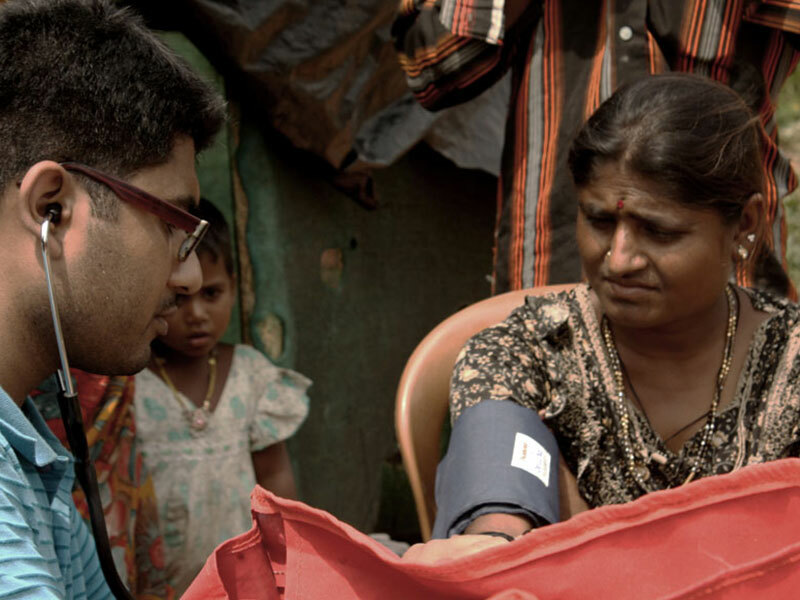 As of now, we have included the slum outside Kanbargi in this program where we conduct a Health Education & Check up camp every Tuesday and Wednesday along with distribution of medicines for free. The healthcare initiative is managed by the resident Medical Officer and volunteers. The medicines and other requirements for the camp are paid for by donations from our gracious patrons. We are in the process of adding more of such communities that are in need of humanitarian efforts. Those requiring higher/specialist medical attention are escorted to the nearby Government Hospital or a super specialty private hospital, as and when the need arises. There is also provision for a specialist healthcare provider for consultation on a once-a-week basis. We also avail services of a dentist to look after the oral hygiene of the residents and their children. Regular follow up at the premises keeps the quality of care provided in check. We are proud to inform that we haven't had a single case of treatment failure or relapse. This standard of care was unknown to the residents of the slum, who are now showing more interest in our other programs for the community. A huge leap in the AADHAR Village program was taken when we got a small piece of land to build a makeshift clinic that will be a tremendous aid in providing adequate medical care to the residents and also cater to their privacy during an examination. The shelter will also protect our medical team from the elements and will only increase their efficiency and enthusiasm in making a difference.We continue to look for areas that would benefit from our intervention and help us realize our vision for a better society.